OUR CLEANING SOLUTIONS ARE HIGHLY EFFECTIVE FOR TANK CLEANING & CAN SEPARATE COLLECTED FLUIDS INTO DISTINCT PHASES FOR RE-USE OR DISPOSAL. 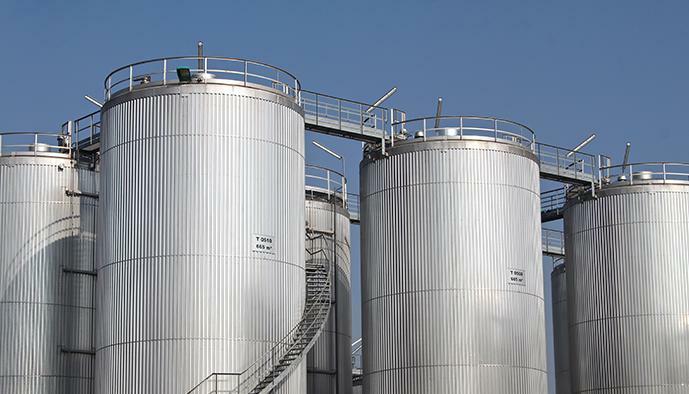 Aubin's product development chemists created our OSB range to break oil slops and separate expired fluids containing hydrocarbons into distinct phases. Used for decommissioning processes offshore or onshore, waste treatment and tank cleaning our OSB products are high performance cleaning treatment solutions.